Today we’re at Steam Up, a model yacht gathering that is exactly what the name tells you. It’s all about steam. 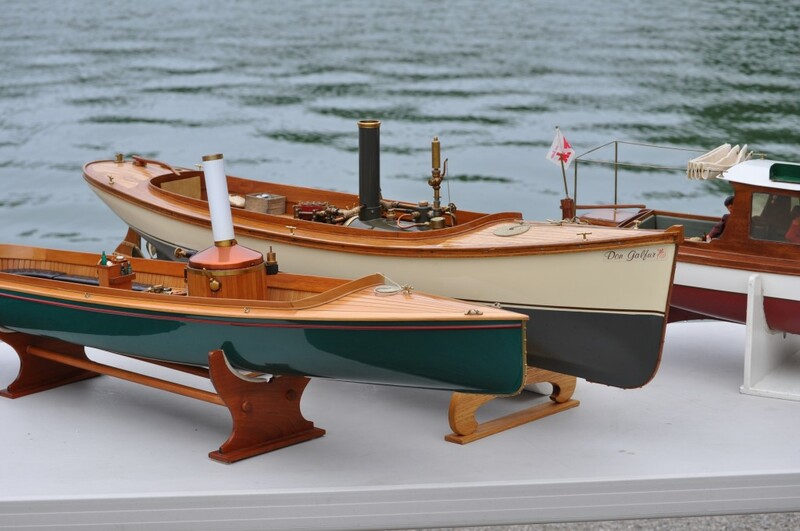 Real steam engines, in miniature. What would inspire a former military pilot, now retired from a career in finance, to spend three years building something like this . 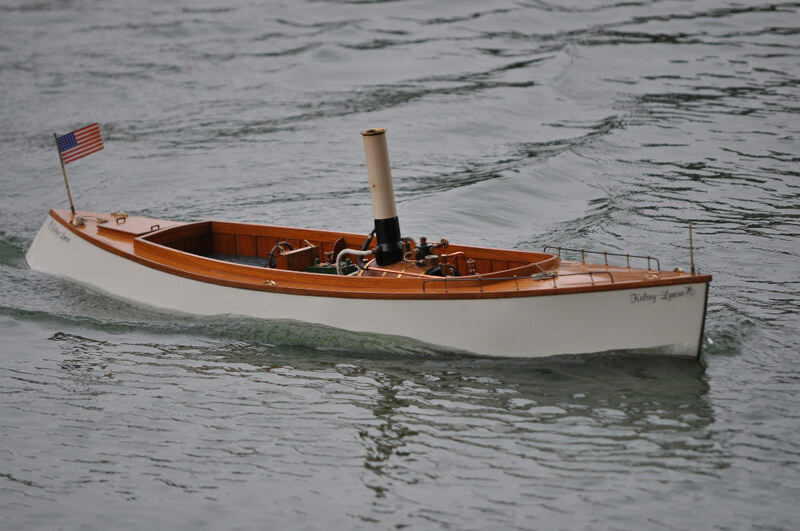 . .
Well, the inspiration would come from something like this, the original S.S. Tahoe, which Alan Zulberti happens to believe is one of the most beautiful vessels ever . . . 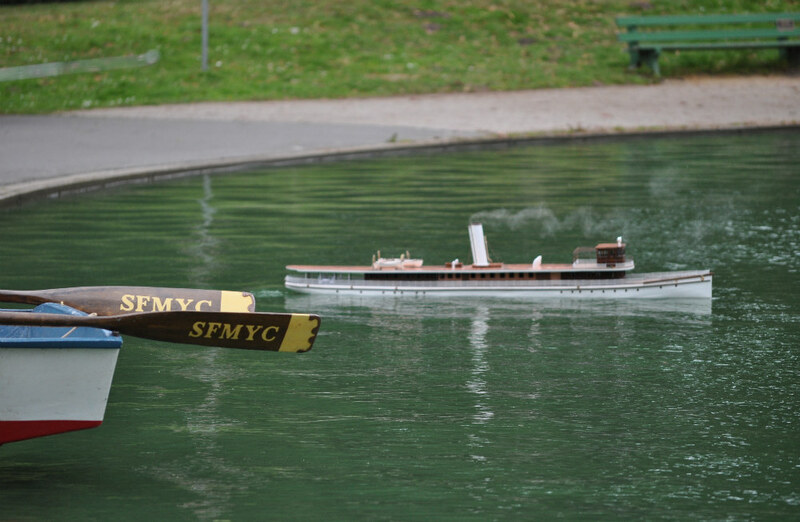 The original S.S. Tahoe was launched in 1896 with all the luxuries and the latest advances, including electric lights. Having outlived her time, she was mis-scuttled in 1940. Yep, mis-scuttled. The plan was to sink her in relatively shallow water, where she would be an attraction for the patrons of glass-bottomed boats, peering into the famously clear waters of Lake Tahoe. Instead she slipped away to the depths. 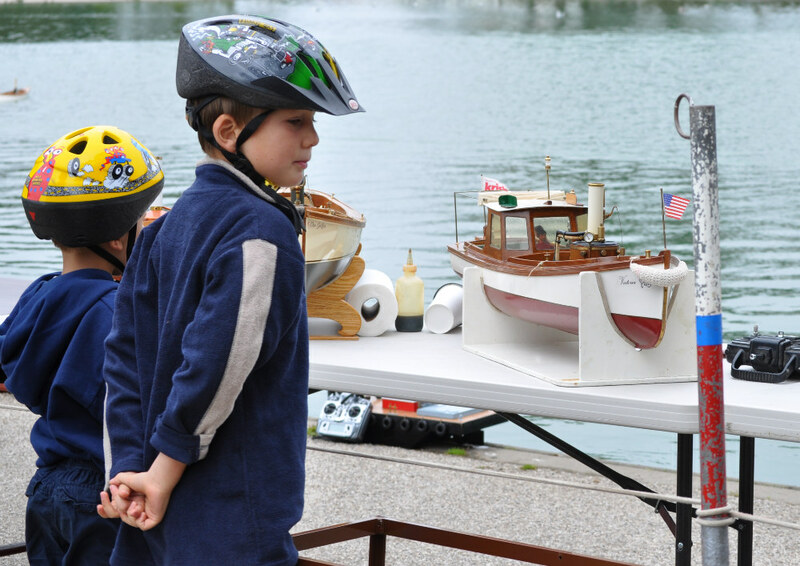 But in miniature, the S.S. Tahoe has returned . . . 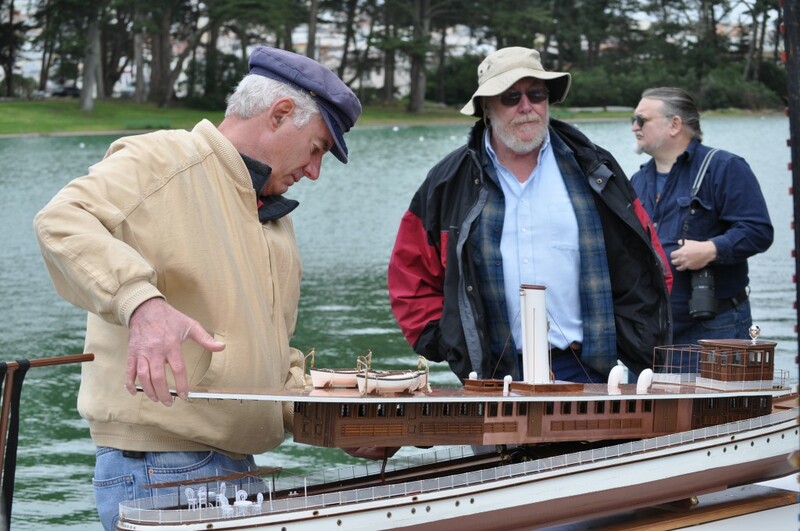 It takes about ten minutes for the S.S. Tahoe’s miniature boilers to build up a full head of steam, and I’m not going to even attempt to describe the lavishness of the riveted copper hull, but Alan’s other big little project was PT-588, with operational armaments, rocket launchers, twin-screw torpedoes that top 60 mph and more. You can read about that model in all its gonzo glorious detail right here. 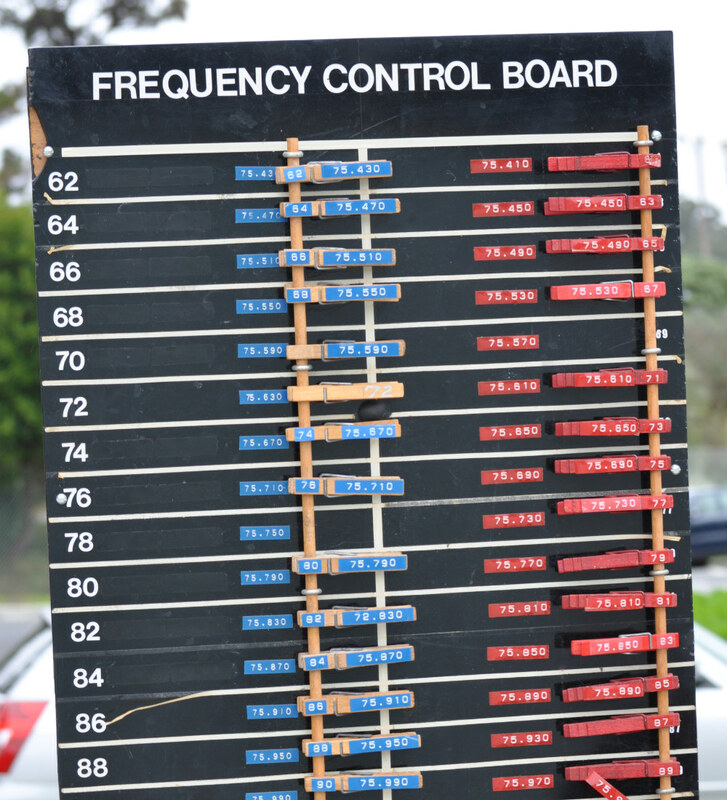 The Frequency Control Board is for assigning and separating wavelengths . . . Some people, of course, find it impossible to pass without stopping for a look, but that’s part of the idea . . .
Spreckels Lake, Golden Gate Park. August 8, 2010. 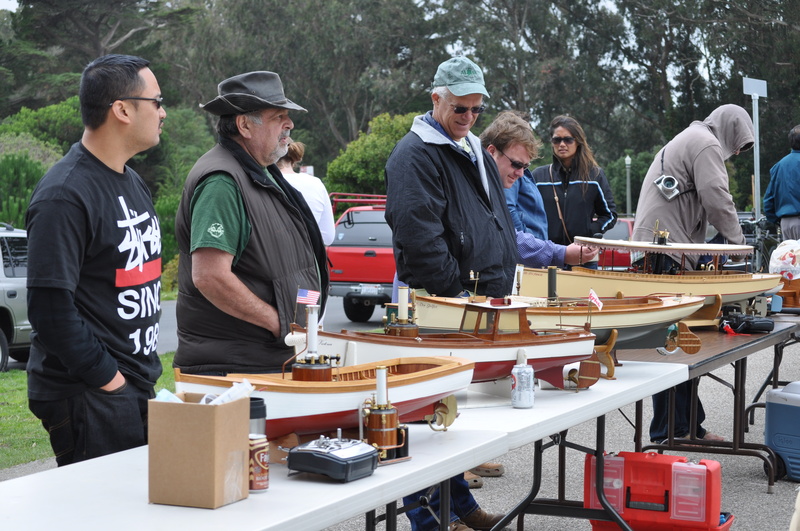 An annual event of the San Francisco Model Yacht Club. One final toot . . .